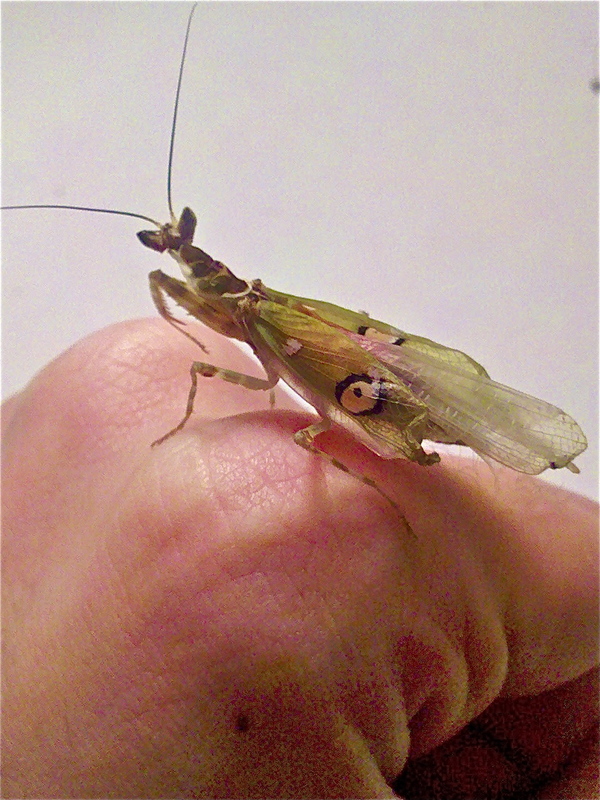 Exciting news in the life of Arachne the Indian Flower Mantis. On January 1, 2012, Arachne shed his skin in a final molt, nearly doubling in size and revealing four delicate wings. 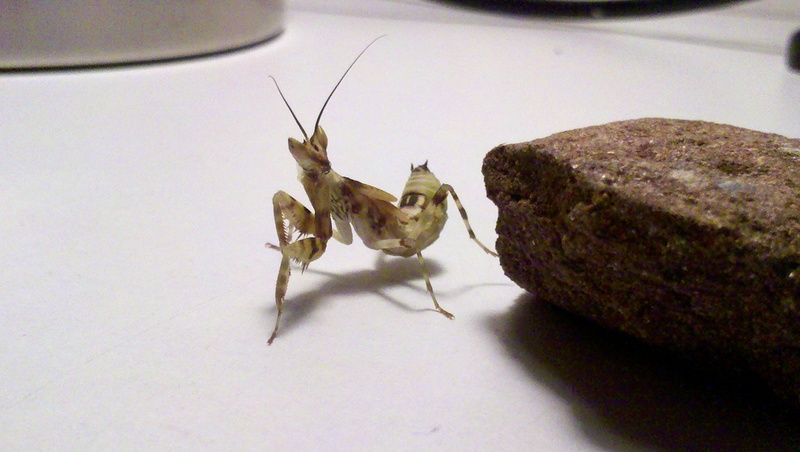 Post-molt, mantis wings are tightly compacted and must be flushed with fluids from the body in order to unfurl. This is evidently a risk-laden process. During the many hours after the molt (and continuing for 3 days after the fact), Arachne’s wings dripped body fluids but refused to fully unfurl. The tips of both outer shell wings are crumpled, and as an additional malfunction, Arachne’s right raptorial limb appears to have almost broken during the molt. It now is slightly incapacitated and is crusted over on its right coxa. The reason for difficulty molting may be due to low humidity levels, cold air temperature, or interruption during the procedure. Although I attempted to control for humidity and sprayed the container frequently in anticipation of a molt, the air temperature may have caused the deformities. 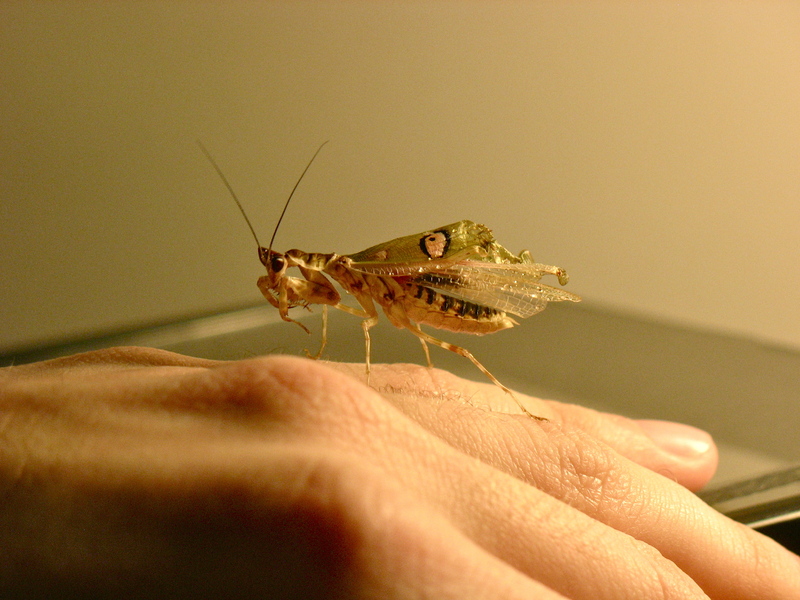 Mantises are surprisingly resilient, however, and I would not be surprised if the wings continue to unfurl over time. 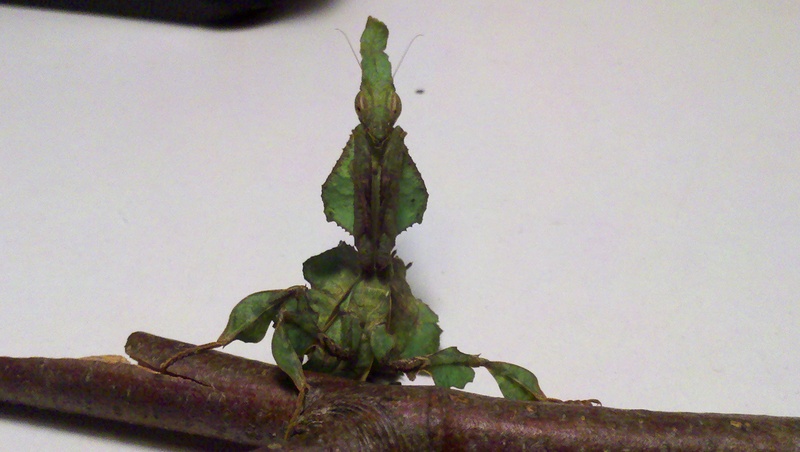 I expect that Darwin will molt (perhaps also revealing wings) in the next week or two- another mantis post coming soon! Fortunately she won’t have to compete in the big world outdoors. And anyway, what’s a little hiccup in the final molt to adulthood….